How do we know God exists? Is being a Christian worth it? What is God like? Why do we suffer? Even if your students haven’t asked these questions out loud, they are wrestling with putting into their own words what they believe. 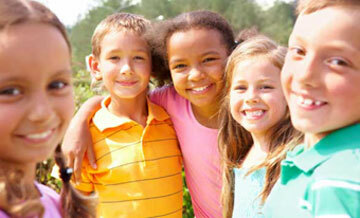 They want to know how to have a relationship with Christ that is authentic and deep. 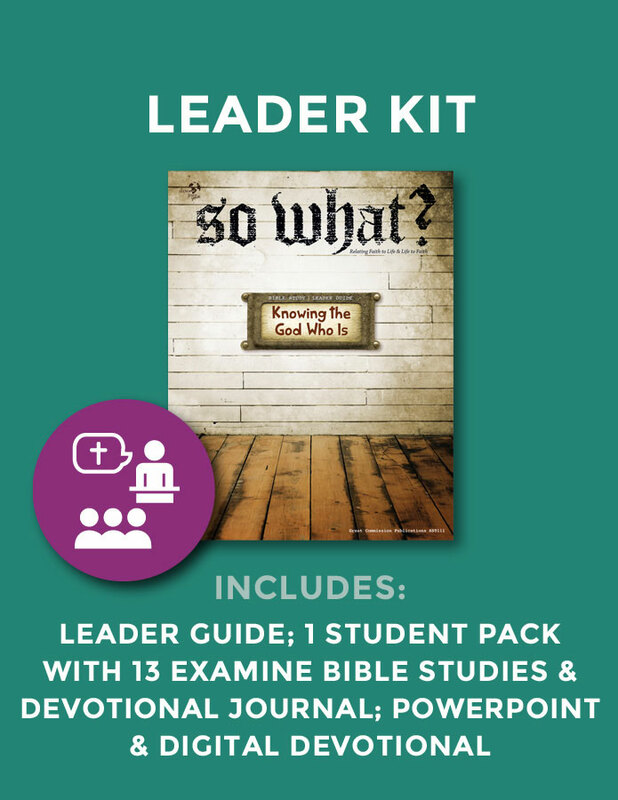 Take your students on a journey through Scripture to discover the truth about our awesome God—who he is and our relationship to him, his attributes, his names, and what that says about him. 3- and 4-week studies (13 sessions in all). Sample lesson and more info at www.sowhatstudies.org. 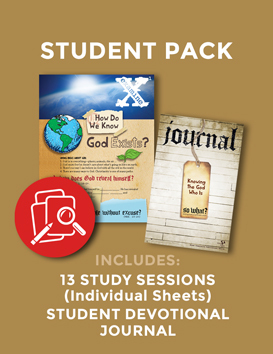 Includes Leader Guide (100+ pages with teaching outline, discussion questions, and study notes), 1 set of Examine Student Bible Studies (13 study sessions), Student Devotional Journal (44 pgs), and bonus digital download of PowerPoint for every session and Digital Devotional.